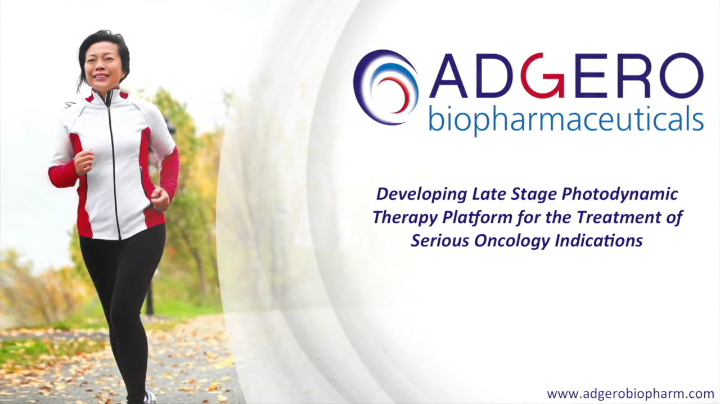 Cutaneous Metastatic Breast Cancer :: Adgero Biopharmaceuticals Holdings, Inc. Breast cancer is the most common type of cancer in women and the second leading cause of cancer death among women in the United States. While initial or primary breast cancer can be treated with a combination of chemotherapy, hormonal therapy, radiation and surgery, survivors may still develop metastatic breast cancer. One form of this is cutaneous metastatic breast cancer (CMBC). Cutaneous metastasis occurs when cells from a cancer in the body spread to the skin. While most internal cancers can metastasize to the skin, breast cancer is one of the cancers that most commonly metastasizes in this way. CMBC generally occurs within a few months after primary breast cancer but can even develop decades after the initial breast cancer and its subsequent treatment. Left unchecked, CMBC can become a highly morbid form of breast cancer characterized by unrelenting progression of multiple cutaneous tumor masses, especially following mastectomy. In most cases, surgical excision of the CMBC tumors is not practical. The current standard of care includes radiotherapy or chemotherapy, but these therapies tend to be inadequate given the well-known dose limiting toxicities, limited efficacy, and/or side effects. A 2003 meta-analysis of approximately 20,000 cancer patients found that 24% of breast cancer patients included in the analysis had developed cutaneous metastases, which was the highest rate of any cancer type. Given that approximately 160,000 women suffer from metastatic breast cancer, we believe the prevalence of CMBC may approach 40,000 cases in the United States. In four Phase 2 and/or Phase 3 clinical trials in CMBC , primarily targeting patients who had previously failed radiation therapy, our REM-001 Therapy was able to reduce or eliminate a substantial number of the treated CMBC tumors. 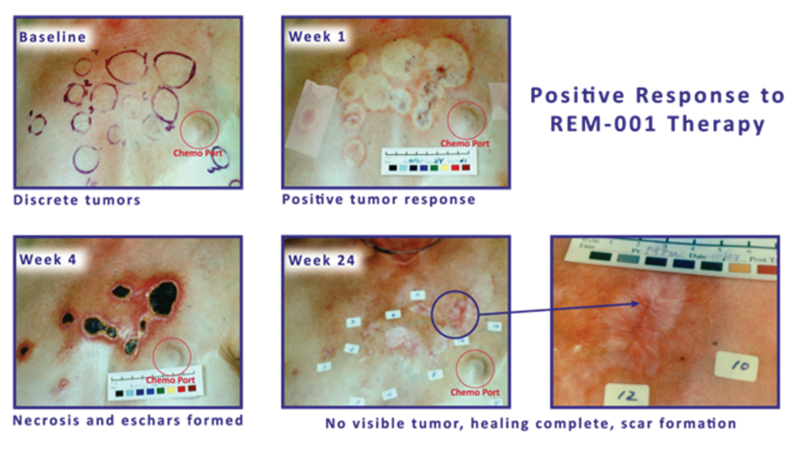 Specifically, our analysis of the data collected from these trials (shown in the chart below) indicates that in approximately 80% of evaluable tumor sites treated with REM-001 Therapy, there was a complete response; meaning that follow-up clinical assessments indicated no visible evidence of the tumor remaining.